Frederick Douglass was one of the most important abolitionists in American history. He also was a close confidante to President Abraham Lincoln, prolific writer and orator, women's rights advocate, and influential politician. This guide offers a look at sites in Maryland and Washington, D.C. where he lived and worked while he was enslaved and free, as well as places that have been shaped by his words and actions. Douglass lived near these twin buildings, which housed free and enslaved African American ship caulkers during the 19th century. Douglass lived and worked in Fells Point as a slave during his young life. 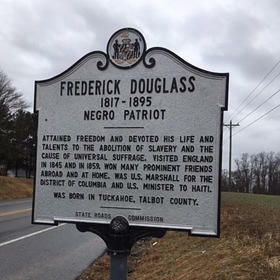 Near Tuckahoe Creek on Route 328, a sign commemorates the rough location of Frederick Douglass' first home. Douglass was born around 1818 in a cabin occupied by his grandmother Betsy and her husband, who was free. 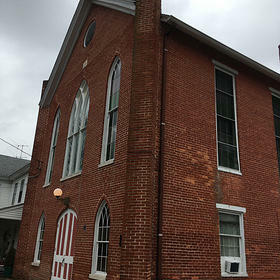 Bethel African Methodist Episcopal Church was built in 1877 and dedicated by Frederick Douglass in 1878. The church historically helped create a thriving, economically and socially viable community for African Americans living in the area. Frederick Douglass was imprisoned at this historic site in 1836 after attempting to escape slavery. 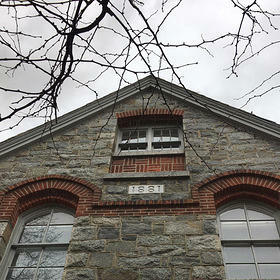 The original jail was torn down shortly after Douglass' time there, and the jail that stands today was built in 1881. 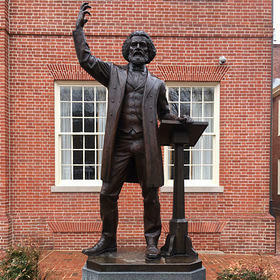 In front of the historic Talbot County Courthouse stands a memorial to Frederick Douglass. Douglass delivered his famous "Self-Made Man" speech and advocated for equal treatment of African Americans on the courthouse lawn. The town of Unionville was settled by free and formerly enslaved African Americans. 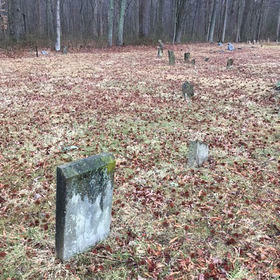 Many citizens who fought in the Civil War (Douglass was a key player in President Abraham Lincoln's decision to allow African Americans to fight in the Union) were laid to rest here. 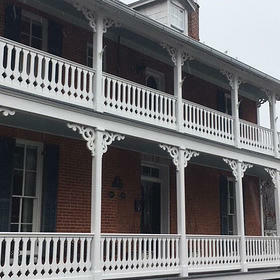 It's easy to spot the seams separating the original (1799) and expanded (1872) sides of this historic bed-and-breakfast. 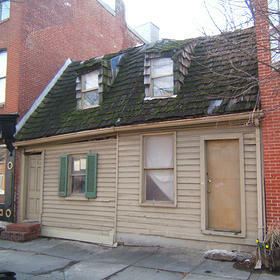 It was once the home of one of Frederick Douglass' owners, Thomas Auld. Douglass returned to this place to reconcile with Auld later in life. 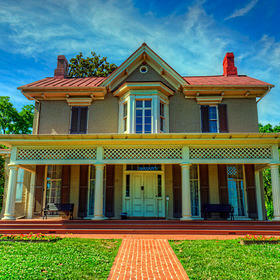 Douglass lived in Anacostia at Cedar Hill for the last 17 years of his life. The legacy of this abolitionist, writer, adviser, statesman, and enslaved man is preserved at the site, which is open seven days a week for guided tours. Join the movement to save and sustain historic African American places. The African American Cultural Heritage Action Fund will help every American see themselves, their history, and their potential in our collective story and national cultural landscape.